Wisconsin Weatherall is an experienced home exterior remodeling company for properties located in Waukesha and Milwaukee counties. We carry only the best in energy-efficient replacement windows & elegant entry doors. When you’re searching for expert craftsmanship, trust Wisconsin Weatherall for your replacement windows and doors needs. With over 20+ years of hands-on experience, we offer the top-notch service that you deserve. Our business was founded in 1994, and we have built a long list of satisfied customers over the years. If you are ready to learn more about our commitment to excellence, then we invite you to schedule a complimentary in-home consultation. The owner and master installer, Greg Beebe, brings an educated background to the window installation industry that most other Milwaukee window installation companies don’t have. Greg holds a Bachelor of Science degree in Industrial Technology with a concentration as a Plant Engineer he received from UW-Stout. He is an AAMA certified master installer, Lead Safe certified, and he also holds a Building Solutions Master Craftsman Certification received in 1995. Greg has many years of experience installing energy efficient windows throughout Waukesha and Milwaukee counties. LuAnn Beebe has over 20 years of progressive & comprehensive experience as an innovative Sales Professional. She is experienced in large business planning, financial management and customer service. LuAnn’s primary focus is marketing for Wisconsin Weatherall. She loves spending time with her grandchildren, working out and staying healthy. Jacob has been with Wisconsin Weatherall since 2004; working side by side with the owner for 14 years. He installs windows in both residential and commercial settings. Jacob is a professional in every since of the word. 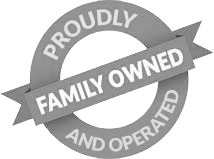 At Wisconsin Weatherall, we are committed to providing the best quality service for our customers. We know that the quality of your windows will impact the durability, security, and comfort of your home. So, we offer the leading brands in the industry and excellent installation services. If you are going to make the investment in replacement windows for your home, then you deserve to work with the best team in the area. Our commitment to your satisfaction will ensure that you receive the best services that money can buy. We have worked hard to build strong relationships with our suppliers, allowing us to pass those savings onto our customers. We will gladly help you find the products that fit your budget without sacrificing the style or features that you desire. Simplify your home renovations by hiring a contractor who offers the full-range of services that you need. We offer windows and doors, making it easy for you to transform the exterior appearance of your home. Our one-stop-shop allows you to hire a single contractor to complete the work, instead of going through the hassle of working with multiple contractors to finish the job. We understand that home renovations can be stressful, so our goal is to make it as easy as possible for your family. Hiring the experts means that you can sit back and relax while we do the heavy lifting. Whether you want to replace a few windows or you are ready to renovate the full exterior of your home, we are here to help. During your complimentary consultation, we will discuss your goals and ask the right questions to understand your requirements. This conversation is a great opportunity for us to identify the services that you need. We can help you choose styles, colors, and designs that will match the rest of your home. Then, we will also discuss features that will be beneficial for your family. For example, we can share ideas to improve the energy efficiency of your home, helping you to maintain comfort and warmth during the cold winter months. When you hire Wisconsin Weatherall to install your replacement windows in Waukesha or Milwaukee, you know you’ll be working with an AAMA Certified Master Installer. While many other Milwaukee window replacement companies use subcontractors, Wisconsin Weatherall has the industry acumen to complete the job from start to finish. You’ll feel more comfortable knowing it won’t be a stranger installing your Milwaukee replacement windows – it will be the familiar, smiling faces of the Wisconsin Weatherall team. Wisconsin Weatherall is committed to giving you quality and professional window installation services along with the best Lifetime Transferable Warranty in the greater Milwaukee area. Our Milwaukee window replacement installers will treat your home as if it was their own, making the window installation process as easy as possible for you. When it’s time for new replacement windows or doors, contact Wisconsin Weatherall. We will gladly come to your home, inspect the windows, and make recommendations about the best products to match your needs. Wisconsin Weatherall is proud to hold the NARI Certification. Working with a NARI Certified Professional is a guarantee of excellence. Only experienced and dedicated industry professionals are able to earn the distinction of calling themselves a NARI Certified Professional.